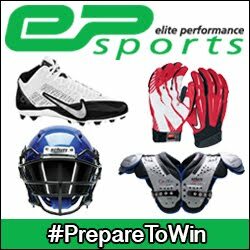 As predicted, the Blitz have confirmed not a new stadium, but some significant moves with their current stadium. The Blitz are the model by which all other teams should attempt to follow if they want to help grow the game, the first team to have vested interests in their home ground will go down as a landmark in Britball. Now just to play games. This Sunday sees the breaking of a three week hiatus for the Warriors, who unlike so many others in the division are churning through their game. It seems whoever made the schedule wanted the Warriors to get all of their games done quick while giving them 5 weeks to prepare for the Blitz, which in reality is probably not at all that helpful. Peterborough to face this weekend, who will have a real test on their hands. It's hard to keep the O's up this high when they are sitting at 0-1, but as has been pointed out before that was against the Warriors. They will no doubt earn their place once they get a few more games under their belt. 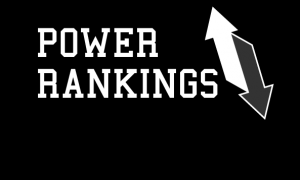 The power rankings are starting to take a real shape now, however the Aztecs remain a question mark, we have no idea how will they fare against the O's and the Cats! We shall have to wait and see for now, as Sussex is their next opponent in two weeks. The Cats are running out of time to prepare for the champs, spirits will be high after the win over Peterborough but nothing like facing one of the big boys to smash those spirits. One of the two teams who played this past weekend, and they stay firmly rooted where they were after eeking out a last second win against the Renegades. These two teams seem to be on a par and lead up the second half of the division. You get the feeling any one of them could win on any given Sunday, the question is can either of them separate themselves from the pack? They may be sitting at 0-2, but the Renegades can be reasonably happy with how the season has gone thus far. Showing that they can play with the smaller of the big boys, the Aztecs, and also producing a thrilling game against EKM. They will be annoyed to be on the losing side of that fixture, and the scheduling doesn't help things as they won't have a chance to redeem themselves against EKM, unless of course there's some crazy playoff format. Given the scoreline against Ipswich, the Thunder, SWW game looks to be one either team could clinch. The SWW have the benefit of more games under their belt, could this be the deciding factor? We will find out Saturday. One of the Saxons described the Warriors as 'the best team in the league' and 'phenomenal' on Twitter this past week. Not too much confidence if you have guys saying that. This scoreline will be an interesting one to see allowing an insight into the potential gap between the divisions of old. With the exception of Bristol these guys have some long away journeys to look forward to this season. One of these is coming up on Saturday against Sussex. A winnable game for the SWW who have the Warrior bowl looming in the coming weeks, which looks a lot less winnable. After a fast start to their season, things have been a little slow in the Cardinals camp, as we pointed out last week they might miss their bye weeks when they have the Blitz and Warriors to look forward to.